Are you sick of making thousand of inventions to trap mobs or animals? We bring you a very simple solution. 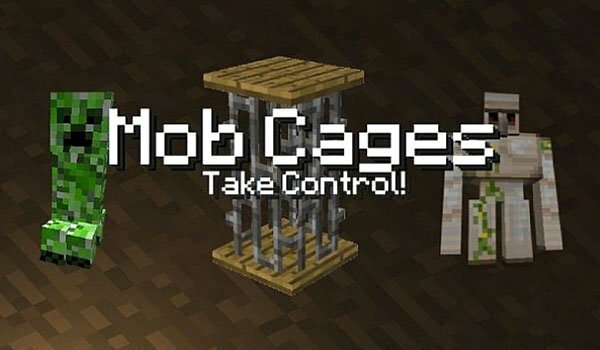 Mob Cages 1.4.7 is a mod that lets you create cages to trap animals or mobs. We just need to put our hands in the cage and right click on any entity. Once we have it caged we can carry it in our inventory and place the cage where we want, either for decoration or actual mod function, which is to capture and convey mobs. How to install Mob Cages Mod for Minecraft 1.4.7? Catching mobs and animals, is now really easy!